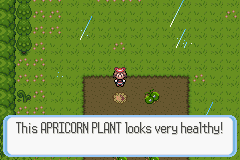 The new berry system is now implemented! 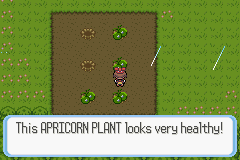 Berries grow randomly every day..
New tool was added! Shovel!! 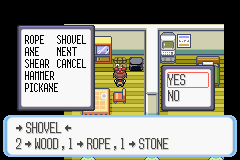 What's the use of shovel? Well for digging of course! Dig Treasures! 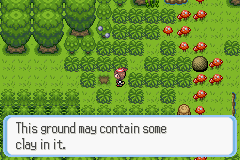 Nah, you'll only get to dig clay and dirt. And sometimes you'll encounter wild pokemons! What's the clay for? And the dirt? Where do I craft the Pot and what's it for? You can craft POT in the furnace. It is use for cooking. (Eg. Glazed Turnip requires POT to be cooked). 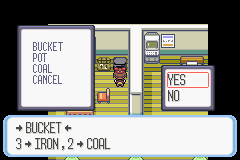 And of Course you need Coals to cook them duh. Foods!? 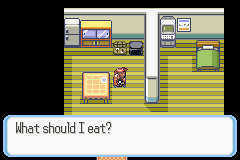 Why do I need to eat in the Pokemon World? 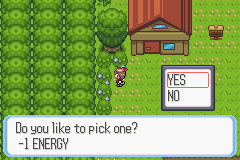 Well This is a Pokemon hack based on HarvestMoon so you'll need the food to replenish your energy. 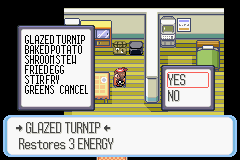 Where will I get the Turnip, then? 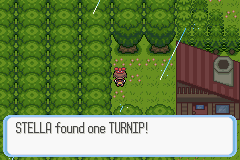 Turnips and others crops (Eg. Potato, Cabbage, Spinach, Red S, Brown S) are found somewhere in the town. Yes. 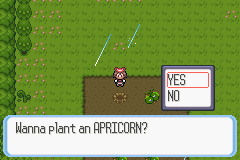 The only plant you can plant is the APRICORN.. They will bear Apricorns that is used to craft Catching tools (Eg. Poke Balls).